I also migrated — rather quickly, I might add — from Roll20 to Fantasy Grounds last year. 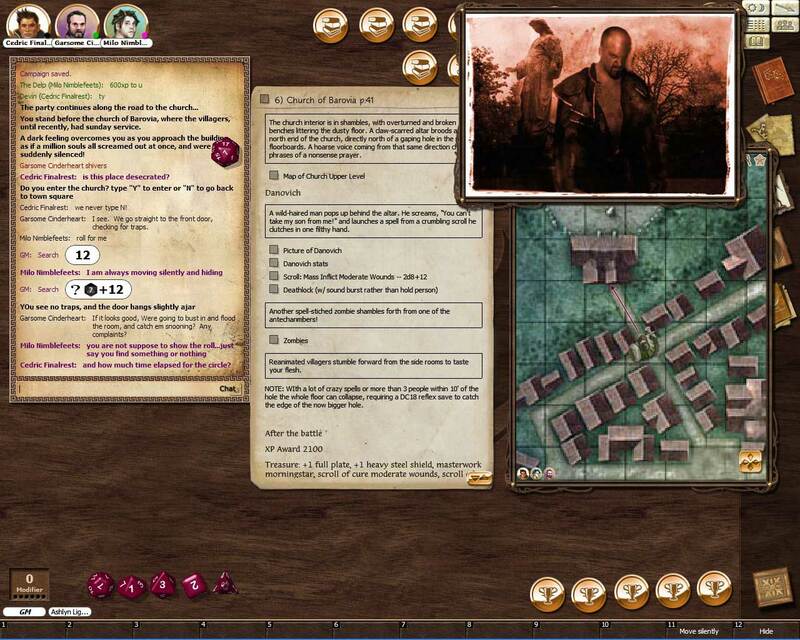 Roll20 has two main advantages: it’s browser-based so even people on mobile devices can still play, and it’s cloud-based so things like their table URLs make getting into a game quick. The cloud-based bit used to be a disadvantage when Roll20 was the target of DDoSing which made everyone unable to play, but I don’t think that’s been a thing for well over a year or two. Fantasy Grounds is client-based, Windows only for now (Mac and Linux with WINE). It’s also an old engine, which is why it has a lot of its current limitations (32-bit only, single-threaded, limited networking, all of which adds up to everyone’s client feeling like it’s locked up when first connecting to your GMs server and he has a lot of material shared) but the new owners are in the process of converting the whole thing over to the Unity Engine which will greatly help performance and the ability to add new features finally, as well as native Mac and Linux clients. Honestly, I would downplay that Ultimate license, though. That is one of the major hangups with people crying “free! free! free!” about Roll20 (eh… you can get by with free if you do very limited stuff and don’t care) and that $150 (full price — it does go on sale every couple months) Ultimate which for some reason is the only price anyone ever pays attention to. The Ultimate license is a GM license. If someone only wants to be a player, that Ultimate license doesn’t do them any good whatsoever. If a GM has the money for an Ultimate because he GMs a lot and wants to be able to host a table full of Demo license players, cool. Otherwise, there’s the Standard license which is $40 full price and goes on sale for $32-ish roughly every month it seems, and that lets you connect to any GM’s table whether he has the Ultimate or not, and not every GM has it. I also see it as a fair trade-off — we spend $20-$40 for RPG hardback books to play, this is a one-time purchase of the VTT which lets you play with anyone, and as a player there’s no need to purchase DLC. You can, it does make character management easier, but it’s certainly not a requirement. Also don’t forget the other officially licensed RPGs that Fantasy Grounds has. Of course, there’s the 800 lb gorilla, D&D 5E, but Paizo recently licensed with Fantasy Grounds for Pathfinder and Starfinder. The first official Pathfinder DLC arrived just this past week, in fact. Savage Worlds has a wonderful licensed ruleset and tons of official settings and adventures. Castles & Crusades. Call of Cthulhu. Rolemaster. It also does OGL versions of Pathfinder and 3.5E, 4E, as well as unofficial Fate Core and Numenera (hopeful that Monte Cook Games licenses officially next year). I absolutely agree, Talyn. Honestly, I think the Ultimate license is a pretty small price to pay as well (Especially for all that you get), and seriously doubt I’ll be going back to Roll20 anytime soon. However, it’s important to note that the major attraction to Roll20 is for people on more limited budgets, not necessarily just people who don’t care. After all, let’s be honest – just about everything you need to know about D&D can be found online for free without any rulebooks or rulesets at all! Plenty of Wikis offer good, accurate spell descriptions, class descriptions, etc. Also, thanks for bringing up the other RPG systems FG supports – That’s something I glossed over in my overview, but it’s definitely an important point. Personally, I’ve only ever played D&D (Due to a lack of other compatible DMs/players willing to try other systems), but I can only imagine how massive the playerbase must be for systems like Pathfinder and Savage Worlds. What a beautiful time we live in now where we don’t have to sit in the same room, let alone be in the same time zone to get some rpg action. It truly amazes me. Hmm, I’ve not tried Rol20. My group has used Fantasy Grounds for “in-room” play, using the system to digitise the mapping process and manage showing maps and other images. I run the game from my laptop and the players share another device running the client connected to my game. FG is still only 32-bit? IMO price should reflect the level.of technology being offered. Maybe the monthly fee should be credited against the license cost, otherwise if I’m trying it for a month or two the total.price jumps by 6%-13%. FGU has been “in the works” for years. Roll20 is already doing much of what FGU wants to promise (assuming the Roll20 API-level subscription). Yes, Roll20 is a PITA to set up a campaign, especially for API stuff. Some.of the user-created content is good, but much of it is meh, which means finding the good stuff is like gold-prospecting. When you factor in the cost of stuff from Roll20 marketplace, and/or the GM’s time, FGU would strongly compete – if it ever arrives. Roll20 now lets you drag & drop items/spells/weapons/etc from the SRD onto the 5e character sheet where it automatically calculates it’s bonuses, weight, encumbrance, etc. There’s a really good roll20 mastery series on youtube that can get you going quickly. Can people with a free/demo license in Fantasy Grounds save their player character or is that something that can get stored on the GM’s ultimate license and the PCs can play the characters from there? I am looking to taking my group to a VTT and want to minimize cost on their part. So if the Ultimate license means they can have their free accounts with their characters and stats saved from game to game then great, but if they all have to buy a standard to save them then I am wondering if I can save their characters for them?